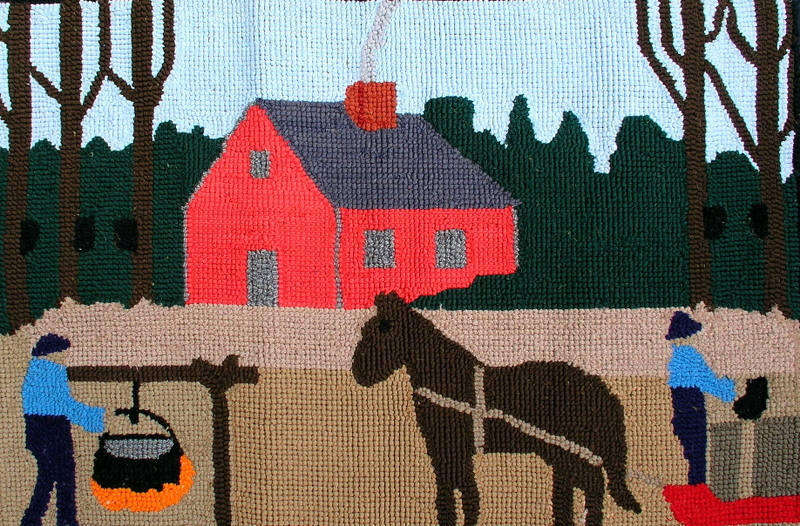 This is a great hand drawn design of a sugaring scene by noted Quebec rug maker, Madam Tessier, late of Grondines, Quebec. Madam Tessier had a little shop in her home on the road which runs along the St. Lawrence river between Trois Rivier and Quebec city. It was an old tourist road which was all but abandoned by the time we used to use it regularly in the 1970/80s. 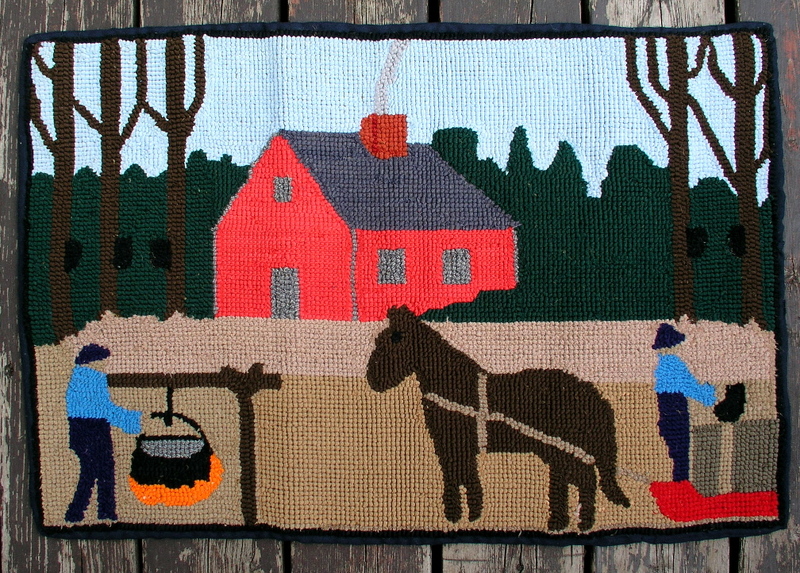 We would always stop in and buy a dozen or so rugs from her vast selection of folk art rugs. Non of her rugs were from patterns and they were all her designs. Well made and tight on burlap. I love the highly graphic nature of her work. I recently received many rugs from a collector of her work and I will be offering them here at a very reasonable prices. This rug is 19" x 29". Excellent, clean condition. .